Tradewell Ferromet Pvt Ltd can provide Cold Forged & Hot Forged Stud Nuts / Non Standard Special Stud Nuts with complete material compliance. 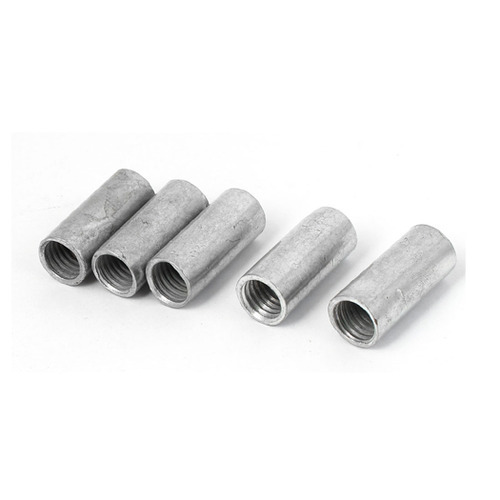 Stud Nuts / Non Standard Special Stud Nuts can be offer as both Metric & Imperial Inch sizes with Coarse, Fine, UNC, UNF, UN, BSW, Acme threads. Types of coating for stud nuts / non standard special stud nuts that can be offered are electro zinc plating, hot dip galvanizing, ptfe fluorocarbon coating, aluminizing, ceramic filled fluorocarbon coating, nickel plating, zinc coating, electro zinc cobalt plating, electro zinc nickel plating, phosphate coating, electro less nickel plating, electro cadmium plating, dacromert 320 / 500 coating, pickled passivated, silver plating, chrome plating, etc. Various applications of Stud Nuts / Non Standard Special Stud Nuts are boiler & heat exchanger manufacturers, petroleum refining units, metal processing & mining industry, nuclear & thermal power plants, oil & gas extraction rigs, industrial chemical processing plants, aerospace & aeronautical sector, electric motors & pumps, power generation, heavy equipment, agriculture, appliances, ship building, automotive, general industrial, electronics & telecom, infrastructure, military, chemical refining, replacement parts, bridges, construction, electricity, port & harbour, etc.